The removalists companies are not what they once were. You will be very impressed with their skill and speed. Moving is not going to a problem at all. That leaves you with extra time to focus on how you want to make your home comfortable. There is little to concern yourself with where you are leaving. Spend your free time discussing and planning the layout of your new home. Fengshui comes in and out of fashion in Western societies every few years. Having lived in China for many years, there are a number of things I can say about it, and how to make it practical and applicable in our lives today. If one is to study the concepts and ideology of Fengshui, even a lifetime can often not be enough. Here is a simple look at some of the core values that can help to make a home better to live in. Comfort and Psychology. 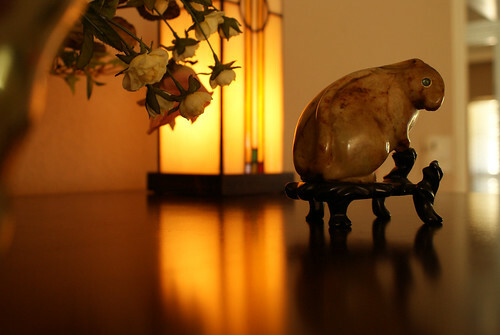 Fengshui can be boiled down to comfort, in both a physical and psychological sense. An excellent example of understanding this can be explained with a desk and a chair. If your desk is facing a wall, and your back is to the entrance of the room, whether you notice it or not, this will have a negative impact on your mental state. Having your back to the wall, and your desk facing the entrance is subtly more comfortable for everyone. If you are more comfortable, from the perspective of a physical and mental point of view, you will be happier, more content, and therefore, more productive. Being in a good state of mind and health, can lead to what is often called ‘luck’. By creating the right state of mind and mood, we also allow good things and good fortune to prevail. Practical.To move, live and exist in our home, practicality is essential. If you have a sofa that is blocking the way you often walk through, walking around it each time you need to, actually creates negative feelings. Setting your home up to be practical and functional can be drawn from the principles of Fengshui. The easier and smoother you can do things, the more relaxed your mind will become. A calm and open mind allows for more thoughts of positivity and room for future ideas and goals. Pleasure.Some items in your home are placed there for pure pleasure. Items that are pleasing to the eye, are also pleasing to the mind. It is important to ask yourself how you really feel about an object when you are placing an item for decoration. A painting that you really like, might not be appropriate for a common room because it is something you know that others will not appreciate, in the same way you do. If you know this deep inside yourself, then you know it will have a negative effect on the way you truly feel. Items of decoration should inspire without dominating any space. View.There is nothing like an open space and view to open the mind’s eye. The problems associated with depression and anxiety in our modern lives are often related to the small living spaces we live in. You know a dark room with only a small window feels like a jail cell. This is Fengshui at work. A view will always improve the way you feel about your space and yourself. Light. Sunlight is the source of all life on Earth. There is no denying we all get a good feeling from the Sun rising or sunlight brightening up a room. There is no replacing sunlight. Manmade light does not compare or have the energy and warmth that sunlight brings. You will often see mirrors being used with Fengshui, to take darkness or ill will from a particular location. In essence, the mirror reflects light into a space where it is lacking. Choosing a home, or making changes to a home, so that sunlight is abundant will create a more positive mental state, and will even directly influence your health. I have just moved my family after a recent job promotion. I asked the interstate removalists to store our possessions for a couple of days to give us time to take a good look at what we have, and how we would place it in our new home. That day or two of getting in tune with our new surroundings and space has really paid off.